Observation - Common Toad - UK and Ireland. 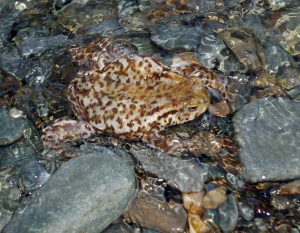 Description: Found this frog/toad at the end of stream in North Cornwall about to be washed into sea. Very pale skin. Found this frog/toad at the end of stream in North Cornwall about to be washed into sea. Very pale skin.